Crystal Reports provides built-in support for the JDBC standard. The CData JDBC Driver for Salesforce enables you to use the Report Wizard and other tools to access Salesforce data in Crystal Reports. This article shows how to create a simple report that features Salesforce data. Install the CData JDBC Driver for Salesforce by including the driver JAR in the Crystal Reports classpath: Set the DataDriverCommon element in the CRConfig.xml file to the path to the JAR. The CRConfig.xml is usually located at C:\Program Files (x86)\SAP BusinessObjects\SAP BusinessObjects Enterprise XI 4.0\java — the path might be slightly different based on your installation. The driver JAR is located in the lib subfolder of the installation directory. Follow the procedure below to use the JDBC connection wizard to connect. In a new, blank report, click Create New Connection->JDBC (JNDI). After connection a JDBC connection to Salesforce, you can then use the Report Wizard to add Salesforce data to your report. Configure the data source by selecting the tables and fields needed in the report. Configure the chart type. For example, create a Bar Chart that aggregates the values in the Name column. 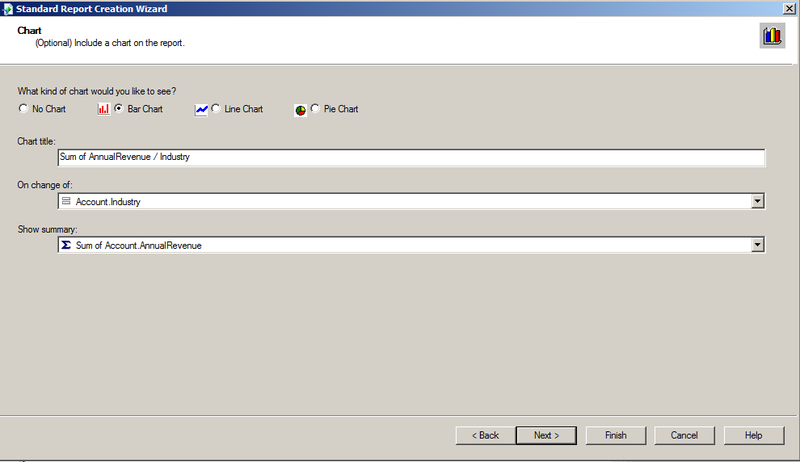 After naming the chart, select Account.Name from the 'On change of' menu. 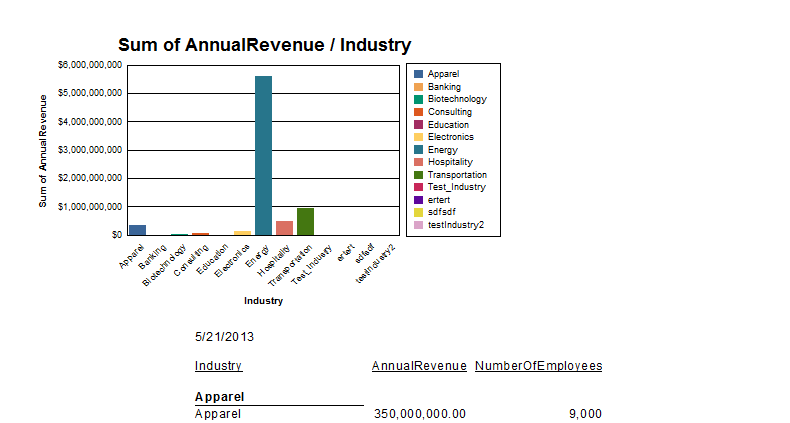 In the 'Show summary' menu, select the SUM function and Account.AnnualRevenue. 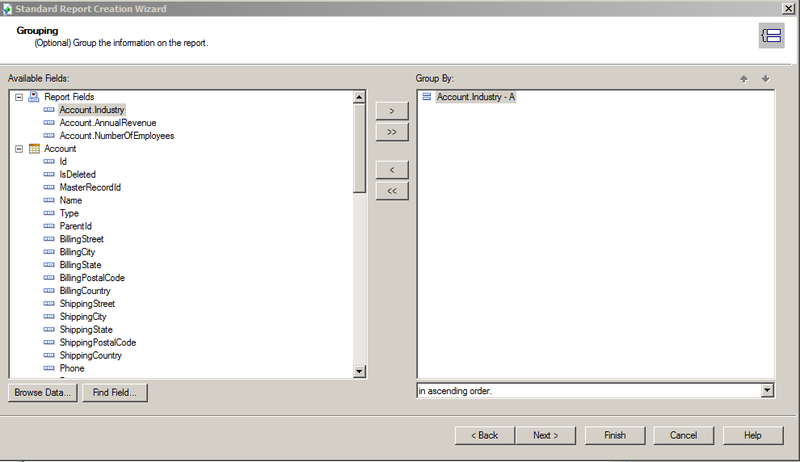 Configure other filters and the report template, as needed. Preview the finished report to view the chart, populated with your data. If you want to filter out null values, use a SelectionFormula.